The Reds regain top for all to see, with a 2-0 win against Chelsea. Goodbye to a defender who wasn’t born – he was quarried, just disappointing his views made many worried. A radio pundit calls out the shame an opposition fan who refuses blame. The Good, The Bad and The Ugly. Another week reviewed at the world’s favourite football club Liverpool F.C. The team’s performance against Chelsea. The west Londoners came to Anfield looking to spoil the run of form that has seen the Reds win their last six games in all competitions. Sadly for then it was not to be. A two-minute second half spell saw Liverpool score two goals. A far-post header from Sadio Mané and a superb strike from Mo Salah out the game beyond their visitors. Eden Hazard was unable to finish two great chances afterwards, hitting the upright with one before having his shot smothered by Reds ‘keeper Alisson Becker. It’s fair to say that Chelsea haven’t had the best of seasons. Inconsistency and ill-discipline has dogged their season both on and off the field (see The Ugly). In contrast, Liverpool have maintained a steady but high standard. This was in evidence this afternoon with the hosts smothering their opponents in terms of possession, hunger and aggression. To coin a phrase, the score line could have been more for Liverpool as a tight first half gave way to a more fluid second period. The Reds were too strong for Chelsea and on balance, the result was well deserved. The relief among the fans was matched by Jürgen Klopp’s exuberant celebration at the end of his 200th game as boss. A sad one this week. The news of the passing of Liverpool legendary defender Tommy Smith, on Friday aged 74. The local lad’s uncompromising, no-nonsense style resulted in his earning the no nickname The Anfield Iron such was his steely approach to his defensive duties. That in itself isn’t all. With all the talk of racism in the game, it’s sad to see that Tommy Smith himself was known for his often blatant racist opinions. In footballing terms, you couldn’t fault him. In terms of being a human being and the relationships one holds with his fellow man – the true measure of a person in my opinion, I cannot hide my disappointment. It’s sad to see that this has been overlooked by so many Liverpool supporters and the press in general. In reality, this is one of the underlying reason why racism still exists in the world today. Some things, whether in life and death, need to be said, faced and addressed. Tommy Smith and his views are examples of such. 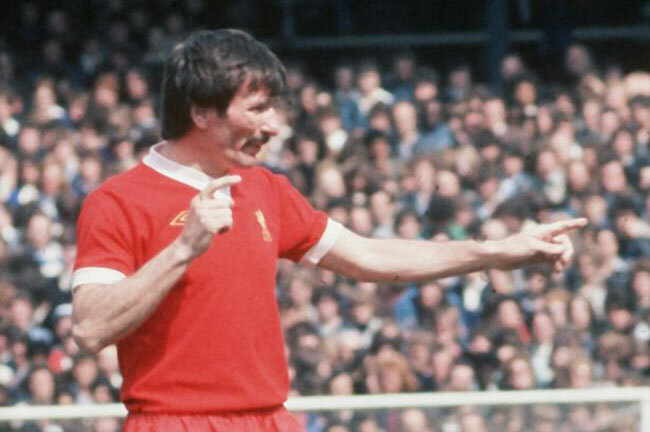 Sad news tonight as @LFC great Tommy Smith has died aged 74. String of honours in an incredible 638 appearances for club over 18 year period. More misbehaving Chelsea fans. Not known for their subtle nature, some Blues supporters came in for criticism this week for singing a song in a pub in the Czech Republic wherein they called Liverpool attacker Salah a “bomber”. Former Chelsea defender Jason Cundy tore into a Chelsea fan in his Talksport radio show on Thursday evening when the fan “Matthew” claimed the chant wasn’t racist, but “Perhaps” prejudice. Is there actually a difference between the two? That just about sums it up. Credit has to go to Cundy for calling out this supporter of his former club. I’ve said before and I’ll say again, the problem of racism in football as it’s so often called has nothing to do with football. This is simply a reflection of a section of society itself. Football is simply an outlet. Once the governments and we as people tackle this problem, it will remain in football in the same way that sexism and homophobia also do in everyday life. FIFA and football in general – although their gestures are welcome, cannot tackle the ills of society by themselves. This is the job of us all. Next up we have a trip to Portugal to face FC Porto for the Champions League quarter-final second leg, followed by a trip to South Wales to face Cardiff. The 100-metre sprint for the League title continues. Its neck and neck and toe-to-toe.